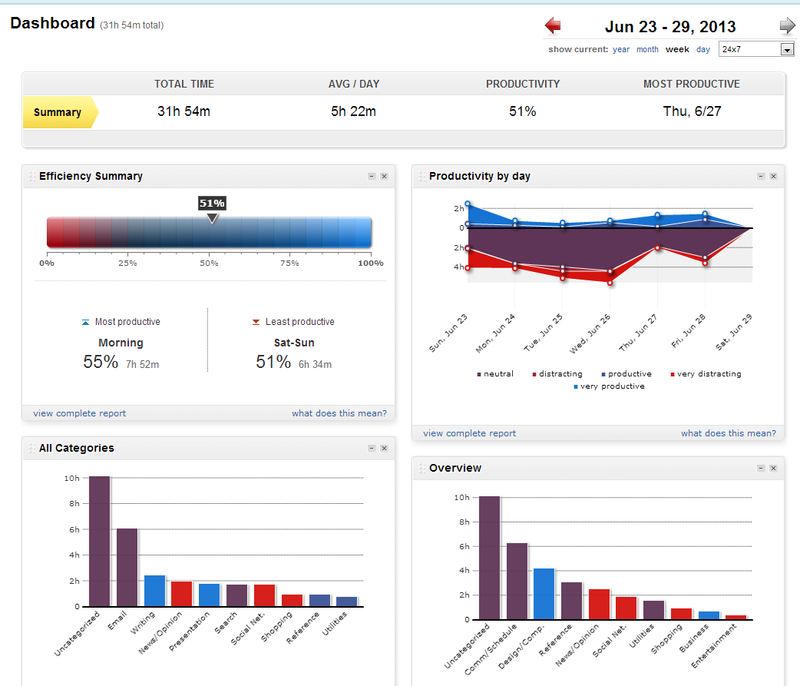 Go to www.rescuetime.com, make a free account and download and install the free version of the timetracking tool. You should do that at latest on Monday. After installation the cloudbased software will monitor your actions on your computer and summarize it on your dashboard. At the workshop you can now make a screendump of the required details of your timespending from your dashboard and upload the information to the delivery site. After this you can then uninstall the time tracking tool if you want to.